La Folie d’Amour presents three moving, provocative and visually stunning films from internationally acclaimed Québécois auteur Xavier Dolan. 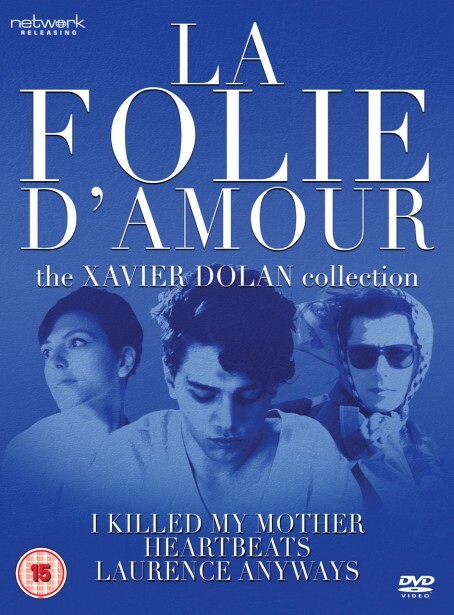 This confrontational and thought-provoking triptych begins with a cathartic and fiercely compelling account of an adolescent’s love-hate relationship with his mother (I Killed My Mother - 2009) before moving on to a study of friendship turning to rivalry over an attractive, elusive newcomer (Heartbeats - 2010) and finishing with a couple’s traumatic fight for survival and acceptance as one partner makes the transition from man to woman (Laurence Anyways - 2012). These astonishing, multi-award-winning films explore themes that are always deeply personal: fundamental questions of sexual identity and the boundaries of love, the testing of friendship, the obsessive nature of desire, and sexual awakening.